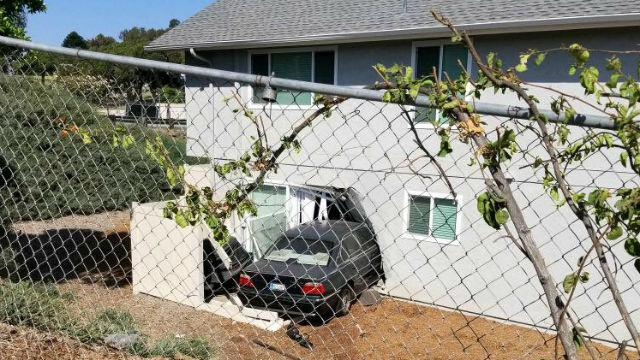 A car crashed into the back of an apartment building south of Imperial Avenue in Mt. Hope on Saturday afternoon. It happened around 3 p.m. in the 4000 block of Messina Drive, the San Diego Fire-Rescue Department tweeted. The apartment complex is near the intersection of Imperial Avenue and 40th Street. No residents were home at the time of the crash, and no one was hurt. The driver was evaluated but did not need to be taken to a hospital, according to the tweet.